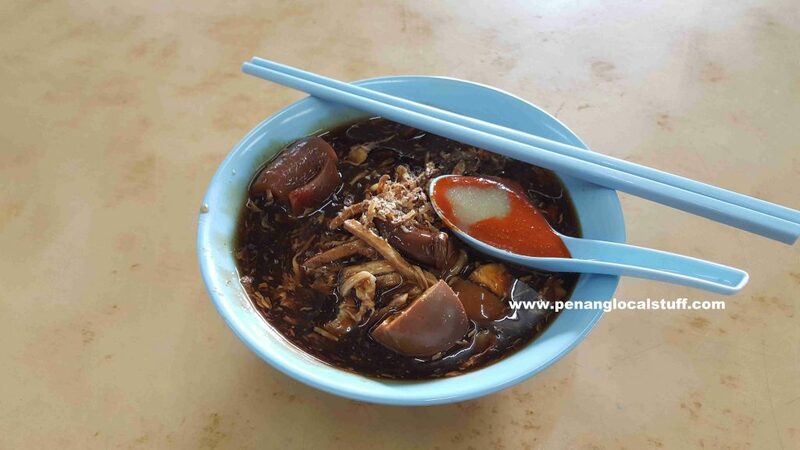 The Ah Quee Street Loh Mee is very famous in Penang. Its original stall is located in Lean Thye Coffee Shop (Address: 2, Lebuh Ah Quee, 10300 Georgetown, Penang). 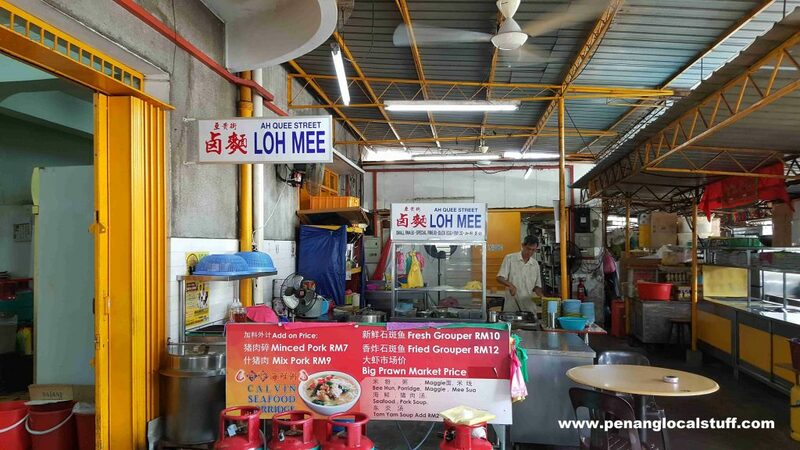 Today, there is also an Ah Quee Street Loh Mee branch stall at Hai Beng Coffee Shop, Pulau Tikus (Address: 3, Jalan Jones, 10250 Georgetown, Penang). I recently went down to Hai Beng Coffee Shop in Pulau Tikus to have the Ah Quee Street Loh Mee for breakfast. I reached the coffee shop at around 10AM. There are quite a number customers, but I was able to find a table. The Ah Quee Street Loh Mee here has thick gravy, and a strong flavour, which I like very much. I ordered the “special”, so the loh mee comes with pig intestines, and extra duck meat. Overall, it was a nice breakfast, together with my favourite kopi-o. Note that the Kuantan Road Curry Mee also has a branch at Hai Beng Coffee Shop in Pulau Tikus.